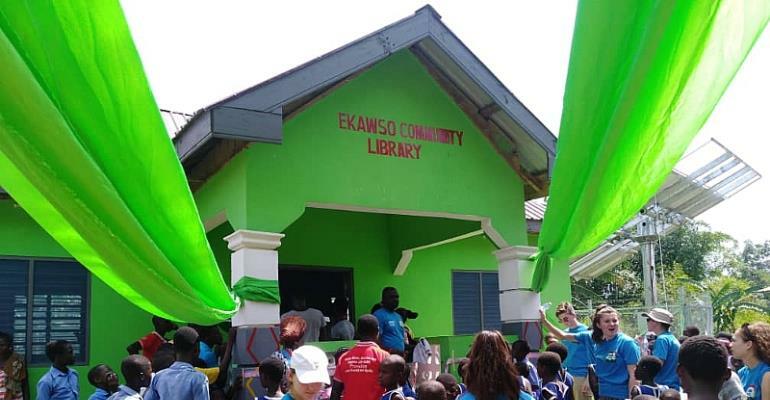 Reading Spots Ghana, has provided the people of Ekawso with a solar-powered community library as part of its aim of providing educational resources for all schools and adults in the area. According to Mr. Ampoma Patrick, a representative from the Ghana Library Authority, less than two percent of children in primary two are able to read fluently in the Ghanaian and English languages. He further disclosed that about 20.4 percent of children in primary three read with minimum competency and proficiency in English. “Libraries help to prevent teenage pregnancy since spending considerable time at the library would prevent girls from engaging in activities that could lead to teenage pregnancy,” he added. The CEO of Reading Spots, Cat Davison in addressing the people of Ekawso indicated that the community library will operate both on weekdays and on weekends. She said they are collaborating with Dext technology to furnish the library with science kits aside the books. “We have built 13 libraries from the ground and refurbished 8 in various communities across Ghana am therefore urging you to make the library alive, a library does not run itself, " she added. She hinted that funds are mostly raised from the UK by children who want to see Ghanaian children have the same opportunity they have and since, donated sixty thousand books over the past three years to that effect. The Sevenoaks School children from UK, who are in Ghana to learn about effectivel sustainable development and the impact of literacy development from Ghanaians also funded the mechanized water pumps commissioned by Project Maji. 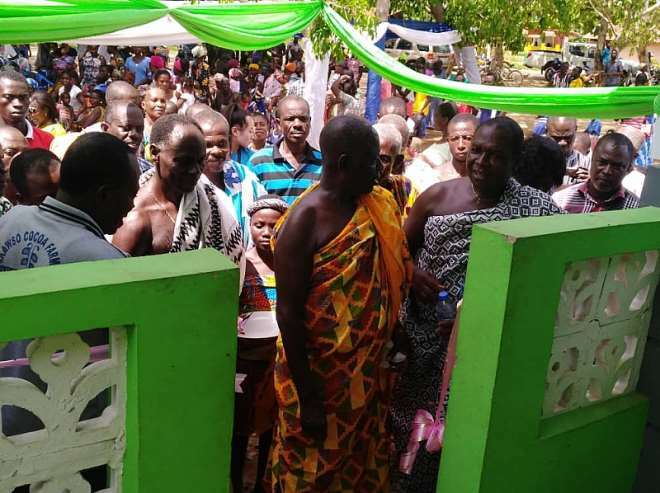 A representative of the Kwahu West Municipal Director of Education also pleaded for the project to be extended to other parts of Kwahu and assured Reading Spots Ghana their commitment in helping the students utilize the library to facilitate learning.